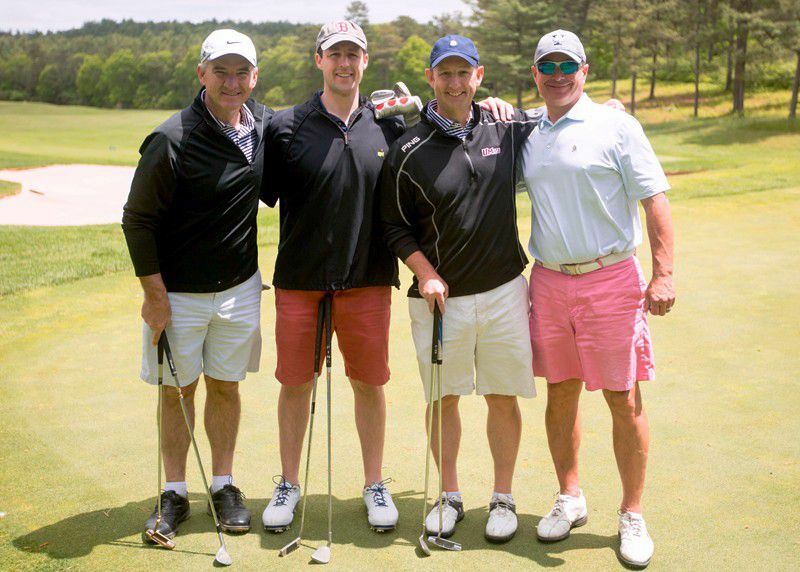 Continuing a tradition started in 1995, Expect Miracles Foundation hosted 250 financial industry executives at the 22nd Annual East Coast Classic charity golf tournament at the Pinehills Golf Course in Plymouth, MA on June 9, 2016. For the second straight year, the financial industry, led by Foundation Sponsors BNY Mellon, Eagle Investment Systems, and Interactive Data, sold-out both courses at Pinehills in support of our mission to invest in life-saving cancer research and advance patient care programs. We are grateful for the Foundation’s loyal corporate sponsors and the many firms that demonstrated their commitment to fighting cancer by sponsoring a hole or a segment of the event, as the tournament would not have been possible without their support. Expect Miracles Foundation was excited to welcome Jordan Leandre as a special guest of the event. Jordan is a cancer survivor who has been a friend of the Foundation for many years. We extend our sincere thanks to Jordan for being such an inspiration and for helping raise even more money as our celebrity guest putter. When golfers came off the course, they were greeted by a long-time friend of Expect Miracles Foundation and Honorary Director, John Dennis of WEEI Sports Radio, who served as master of ceremony of the post-golf reception. Strauss presented the YPEM Award to Ashley Gregory of Sapient Global Markets “in recognition of a young professional whose exceptional contribution of time, resources, and energy rallies the next generation of financial executives to support the life-saving mission of Expect Miracles Foundation.” The evening concluded with the announcement of the tournament winners. The day would not have been possible without our wonderful volunteers whose time and energy make such an impact, and to our event partners for their support: Aruba Marriott Resort & Stellaris Casino, Aruba Tourism, Barmakian Jewelers, Business Events Canada, Cabot Links, DVF, Hyundai, Macy’s, Stowe Mountain Club, and Tommy Bahama. Thanks for another great tournament in support of our mission! We hope to see you in Newport Beach, CA for the 8th Annual West Coast Classic on October 13.